Our trips are best suited to advanced and expert level skiers / riders capable of negotiating varied terrain, glades, deep snow… and sometimes less than perfect conditions. That said, we only offer private trips meaning that we are able to tailor each day to suit your group`s ability level; this means that we can also offer great ski days`s for advanced intermediate level guests looking to begin exploring off piste powder terrain. Unfortunately we do not offer on piste guiding or instruction so if you are a beginner or intermediate level skier / rider we recommend contacting one of the great local ski / snowboard school providers. We want the best snow... when should we come? Hokkaido is home to some of the most consistent powder conditions on the planet and you can generally expect great snow from Christmas through until mid – March. Snowfall generally starts in late November and we need about 1-2 meters of accumulated snow to begin accessing off piste terrain. In some seasons we`ll get lots of early snow and have fantastic conditions by mid-December, however sometimes it can take longer for our base to develop. Through peak season (Christmas until mid-March) you can generally count on great snow across the island with an ever increasing snowpack. The heaviest snowfalls typically come earlier in the winter but the shallower, unconsolidated base can make backcountry travel a bit more challenging. By February the base will be well developed and regular top-ups of fresh snow offer great skiing and easier backcountry access. If you`re interested in getting deeper in the backcountry, then March is the time to visit. A deep snowpack, longer days and more stable weather offer the opportunity to explore new terrain, plan overnight trips and complete longer ski traverses. We also have more guide availability at this time of year allowing us more freedom to leave weather windows open and plan more complex excursions. Please look here for more information on these types of trips. Disclaimer: The weather is the weather and unfortunately we don`t control it. Even here in Hokkaido you can catch a dry spell or even worse a rain event. Joining Rising Sun for a guided trip is the best way to mitigate this risk as if there is good snow anywhere, we`ll find it for you… and if its really not good anywhere we`ll give you a full refund or reschedule at no extra cost. 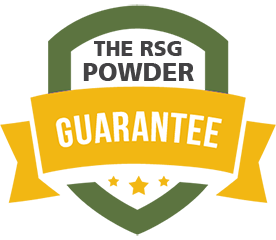 Find out more about our Powder Guarantee. How do I get to Hokkaido? Most people will want to book a flight to New Chitose (Sapporo) airport or Asahikawa airport. New Chitose airport is Hokkaido`s main airport and accepts direct flights from some major international hubs (mainly in Asia). Otherwise you will likely need to stop in Tokyo to change planes for the last 90 minute leg to Sapporo. Asahikawa airport is an alternative place to fly into and works well if you plan to start your trip in Central Hokkaido. Several domestic low cost airline carriers are now operating in Japan. These airlines include Skymark, Airdo, Jetstar Japan, Air Asia, Peach Airlines and Vanilla offering cheap alternatives for domestic flights. Please note that baggage restrictions can be tight with these airlines (better with Skymark & Airdo than the others) so make sure to factor in those potential extra costs particularly if flying with ski equiment. Also note that in general these airlines only begin selling tickets 2 months prior to departure date. Trains are also available and there is now a bullet train connection from Tokyo to Hakodate which is located on the Southern tip of Hokkaido. From Hakodate you`ll have to switch to slower, local trains to get to Niseko. The train option is generally slower and more expensive however works well if you plan to stop on the way North or if you have a JR pass. Please note that we are not able to make flight arrangements for you. Please contact your local travel agent for air travel booking requests. We have two bases of operation – 1 in Niseko and 1 in Furano. Both areas are serviced by frequent, charter bus services that come direct from the airport. If you are booked on a package trip with us, we will book your bus transfer and provide all necessary details to get you direct to your accommodation. If you are booking accommodation independently then we ask that you arrange airport transfers with your accommodation provider to ensure a seamless transition. Please look here for additional information on suitable flight arrival / departure times that work with available airport transfers. Also note that other transport options are available if the regular buses don`t work for you. Please inquire for more information. How do I meet my guide? This one is easy… we`ll come to you. We provide private door to door transport on all of our guided trips so once you have reached your accommodation, we`ll take it from there. Some of your packages don`t include departure transfers - why not? Taxi to train: We`ll arrange for a taxi to pick you up from your hotel and take you to Sapporo train station. Cost is ~1000Yen for the taxi and ~1500Yen/person for the train. Trains are available to meet all departing flights. Private transfer from central Sapporo to the airport. Easy and hassle free but expensive and slower than the train. Cost ~15000Yen for a regular taxi accommodating up to 2 people or ~28000Yen for a jumbo taxi which can take up to 6 people with ski equipment. **Sapporo city is approximately 90 minutes from the airport by private transfer or 45 – 60 minutes by train depending on the service. Your packages refer to "standard accommodations". What does this mean? We work with a number of accommodation providers around Hokkaido that offer clean, comfortable and good value accoms. All of our packages are quoted with this level of accommodation but we can also quote upgrades on request. At ski resort base areas (eg. Niseko, Furano etc) we work with small Japanese run ski lodges (aka pensions). These places are well located and offer hot breakfast in the morning; however its important to note that in most cases facilities are shared. When we stay in the bigger centers our standard accoms are well located, comfortable, have ensuites and hot breakfast but there are lots of choices in the cities so please let us know if you would like to upgrade. If you would prefer to stay in an apartment, private house, hotel or just somewhere with an ensuite please let us know and we can quote alternatives. What can I expect on a guided day with Rising Sun? Your guide will arrive on your doorstep between 7:45 and 8am (unless otherwise arranged) with a clear picture of weather and snow conditions. After a discussion with you, we`ll make a plan for the day and head to the mountains. We`ll ski all day until about 4pm (unless you`ve had your fill and are exhausted earlier) before taking you back to you accommodation. Sometimes we may stop at a restaurant or onsen on the way home if you are interested and we have time. Please note onsen entry and meals are not included in trip costs. On most day trips you can expect to be home between 4 and 6pm depending on how far we had to travel for the best snow that day. ABS backpacks... what`s the deal? ABS backpacks are an excellent piece of safety equipment however it can be difficult to fly with them. Please contact your airline directly for information on their policies on travelling with ABS packs. Alternatively, Niseko 343 offers ABS cartridge rentals allowing you to bring your pack but leave your gas cartridge at home. Rhythm Summit offers rental of the Pieps Jetforce style of airbag pack. We also have one Jetforce model pack available for rent. Please also note that ABS cartridges purchased outside of Japan cannot be re-filled professionally in Japan due to different regulations. Japan remains primarily a cash country so you will want to make sure that you have some cash on hand at all times. Credit cards are becoming increasingly widely accepted but you will still find many places – particularly restaurants – that do not accept cards. This brings us to the next problem… getting cash. Most ATM`s in Japan do not accept foreign bank cards making this a bit tricky. The good news is that 7/11 convenience store ATM`s do accept foreign cards and are widely available across Japan. So if you need an ATM, look for a 7/11. You can also take out money at the Post Office however these are only open during business hours which is generally when you`ll want to be skiing powder. Your guide will be happy to take you to a suitable ATM. Also note that with the exception of the airport it is difficult and time consuming to exchange money. We do not recommend bringing foreign currency to exchange here. In Japan you can expect to encounter a language barrier as soon as you step outside of the airport. The good news is that the airport`s are foreigner friendly so if you have any questions, you will want to take advantage of the English language information services available there before leaving. The other relatively safe area is Niseko where English services are widespread, restaurants have English menu`s and most Japanese staff are bilingual. Beyond that though, be prepared for world where you won`t be understood and unless the menu has pictures, it will be illegible to you. Most Japanese people are extremely nice though and with a bit of sign language, smiling and patience you should succeed. I`m a vegetarian / vegan. Will that be a problem? There aren`t a lot of vegetarians in Japan and almost every dish will have some form of meat or seafood in them. Even if you request a dish without meat, this may also not work. For example, most soup`s will be made from a beef or seafood stock. That said our guides will be happy to help you order dishes without meat but its important to know that your eating options will be limited and there is the possibility that you may accidentally eat something that has meat in it. Please be sure to advise us if you are a vegetarian. Does Rising Sun offer ski and snowboard instruction? Our guides will be happy to provide tips and advice to help you imrove but our trips are designed to take competent skiers and riders to great lines and deep snow. If you are looking to progress and develop skills we recommend contacting one of Niseko`s great lesson provider`s. Can I ship my bags to you? Yes you can. Domestic shipping within Japan is fast, reliable and relatively cheap. If you are planning to spend a couple days sightseeing in Tokyo (or elsewhere) before coming to Hokkaido then we highly recommend shipping your luggage to us to save yourself the hassle of carrying your ski equipment everywhere you go. There are two main shipping companies – Yamato Transport and Sagawa Express and both have depots in most major airports. It is also possible to ship your equipment internationally however this is either very expensive, very slow or both. In general we don`t recommend this option however if you are in a situation where this is the only option that works, we recommend contacting shipping companies in your home country for more information. *Domestic shipments are usually guaranteed within 3 days however faster services may be available. Please inquire directly with the shipping company for more information. What is a licensed Japan Tour & Travel operator? and why does it matter? As with most countries, Japan regulates the travel industry to protect visitors and ensure companies are operating within the rules. Rising Sun is registered with the government of Japan (license #3-744) and adheres to these rules. This association maintains a contingency fund to protect travellers in the unlikely event the operator is unable to deliver services as booked and paid for. It also allows the operator to receive better rates from hotels, ski resorts and other travel service providers ultimately reducing your overall trip cost. Membership is a legal requirement for any tour and travel service provider that operates more than one district away from their head office. Additional information about the Japan Tourism Agency and Travel Agency Act can be found here. Even you don`t book with us we recommend making sure your provider is a member of the JTA and conforms to Japan`s laws.